Mobile devices have taken over the world in the last decade; with the number of users accessing internet having surpassed PC users long ago. The ad tech industry responded to this change be launching multiple mobile-specific ad networks; finding a reliable network, however, can be challenging. Let’s take a look at a few mobile ad networks that publishers and developers regularly vouch for. Media.net has one of the most comprehensive portfolios of advertising technology in the industry across search, display, mobile, native, local, products and video. Media.net is the original creator of the display-to-search (D2S) ad format, a highly sophisticated method of monetizing display placements by identifying user search intent and displaying relevant search keywords which lead to display of search ads bought by advertisers on a cost per click (CPC) pricing model. Advertisers have seen extremely high conversion/sales through this format without the risk of having to buy cost per thousand impressions (CPM) based media where they run the risk of paying for media with which users did not engage. Ad units are fully customizable to blend with the look, feel, and layout of a site, thus giving a far “native” experience, which enhances the experience than destroying it. Earn an additional 10% revenue for the first three months with our partner Media.net by signing up here. First on the list is the tech-giant Google’s mobile ad network AdMob. Google is the predominant market leader of the online advertising space with its AdSense advertising platform and the situation on the mobile front is not too different. As with most Google products, you can expect near-flawless functionality and easy app integration. If you’re a beginner in the mobile advertising game, then there is no better starting point than AdMob. The network’s advertising is far less aggressive and intrusive compared to other networks. On the downside, AdMob has been criticized by users for revenues being on the lower side of the table. This means that some of the other options on this list may be a better option for more experienced players seeking higher revenue. StartApp allows you to implement interstitial advertising, which means that between two pages or sections of your website or mobile application, an advertisement momentarily takes over the screen. It is considered to be a more intrusive form of advertising compared to traditional banner advertising, but some have achieved far higher revenue rates using interstitial advertising. 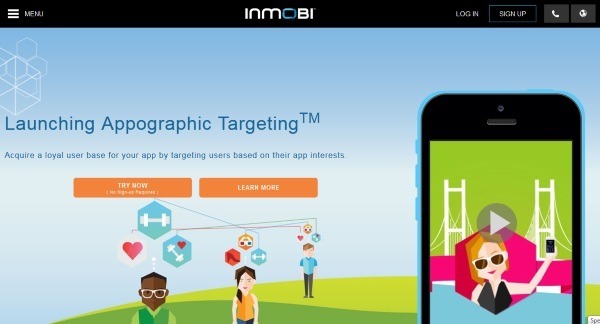 InMobi has developed a new way of targeting users which they call appographic targeting. Appographic targeting increases the chance of connecting users to the type of media and apps that they are most likely to consume. It does this by basing the targeting on the users’ existing and previous applications instead of traditional metrics such as demographics or geography. For instance, someone with a lot of racing games installed on their phone will be targeted with racing related advertising. Revenues are usually above par and are expected to grow even higher by the use of the new appographic targeting feature. Flurry was acquired by Yahoo under Marissa Mayer’s reign in 2014. 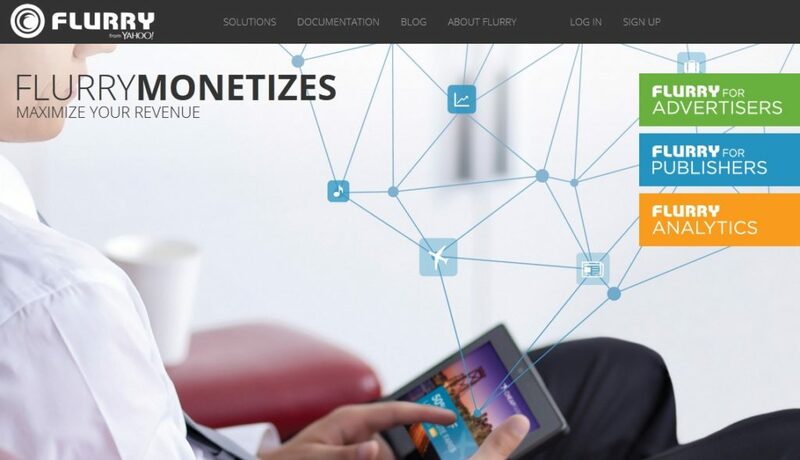 The analytics part of Flurry is something that is truly unique to them, with the ability for a developer or company to monitor a whole portfolio of applications distributed on different application stores across platforms. Its funnels also measure customized consumer conversion metrics. You can also categorize the analytics that you gather, for example separating paid users from free users. Officially part of the Yahoo Developer Network and their App Publishing, Flurry shows great potential for high revenues with their extensive analytics features. If you have the patience and the drive to optimize and test your ad campaigns over and over again, you can most certainly make some really interesting observations with Flurry. Millennial Media offers robust though possibly intrusive advertising options for developers to monetize their apps with. Based on user feedback and comments, Millennial Media provides developers with one of the highest revenue possibilities, thanks to the full-screen interstitial, video, and image-based formats they offer. 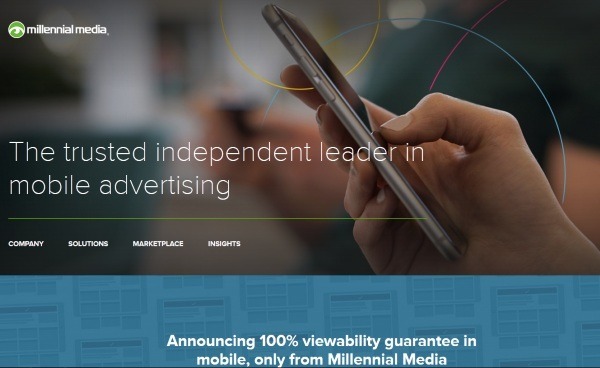 Easily integrated into mobile apps, Millennial Media prides itself in being a mobile-first programmatic ad platform, providing developers and advertisers with a mobile-focused ad exchange. They also provide both parties with real-time reporting tools and analytics to allow for better targeting and brand planning. A part of the ad network, the programmatic marketplace with real-time bidding allows developers to sell their prime ad real estate to the highest bidder, which means that the potential revenues for quality applications are extremely high. Not everyone can reach the top figures, but for those with potentially profitable ad spaces in the eyes of large corporations and brands, the Millennial Media network might just be the perfect place to find the best revenue. Smaato is another name that comes to mind when talking about real-time bidding and programmatic advertising. It’s a strong player when it comes to high revenues for developers of mobile apps and websites. 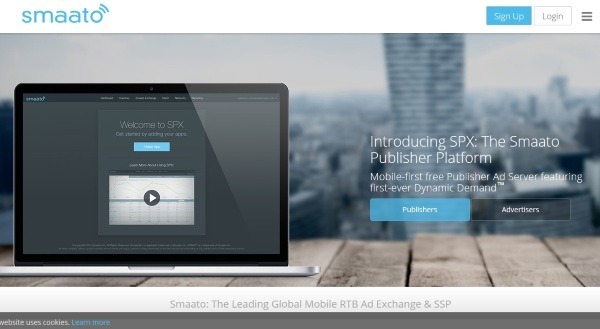 Smaato Publisher Platform offers a “Dynamic Demand” platform that enables per-impression competition for all advertising sources to maximize publisher revenue. Smaato is connected to over 390 demand partners and their platform is free to integrate, so no real downsides exists in their application, and the revenue potential looks promising, given that you catch the fancy of the demand partners. 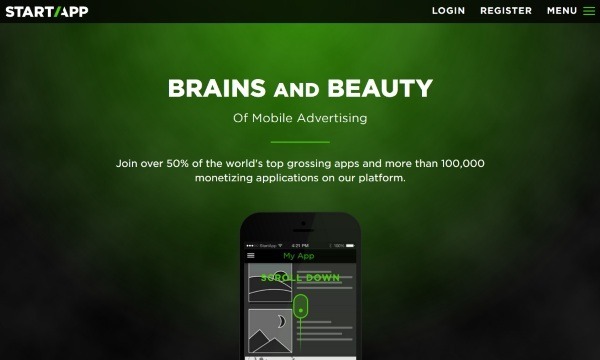 Leadbolt is an Australian company that entered the mobile ad network business quite recently in 2011. In just four years, they’ve won the Australian Business Award amongst other many other awards, and currently serve over five billion ads monthly across 65,000 apps in 150 countries. 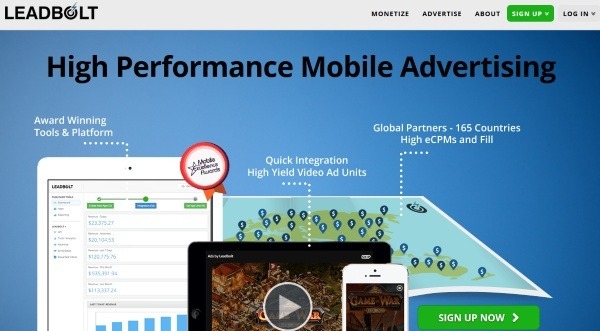 As a comparison, AdMob, the largest of them all, has a respective figure of 40 billion ads served monthly, and they have been in business since 2006, and they were purchased by Google before Leadbolt was even in the business. Leadbolt offers developers multiple neat features, of which the App Wall has to be the best one; it allows you to integrate Leadbolt advertising into your application without an SDK or a single line of code written by you. It also provides developers with a single platform to control their applications and see their analytics from. Included in those analytical capabilities is an app engagement statistic, which measures the users’ engagement to the app. This allows the developers to optimize the balance between the application and the advertisements shown, so that the number of advertisements does not cause any significant loss of user engagement. Developers can use both interstitial and video ads in their products, and test which ad type works better in each of the different situations and placements. Publishers can directly connect with premium advertising partners through the direct deals marketplace, leading to high fill rates and increased eCPM levels. With advertising partners like Pepsi, Walmart, and Groupon, it’s safe to say that the earning potential with Leadbolt is incredibly exciting for developers. After you first strike gold with an app, you want to keep your current fan base aware of your new apps, which is why cross-promotion of your new apps in your existing applications is a powerful and popular solution for increasing downloads and profits. This is why Chartboost has gathered an impressive group of mobile game developers as its clients, ranging from the likes of Rovio to DirtyBit. Chartboost excels in cross-promotion, but also offers the most popular mobile-only ad platform for gaming apps. They state that they work with 90% of the developers of the top 10 grossing mobile games. 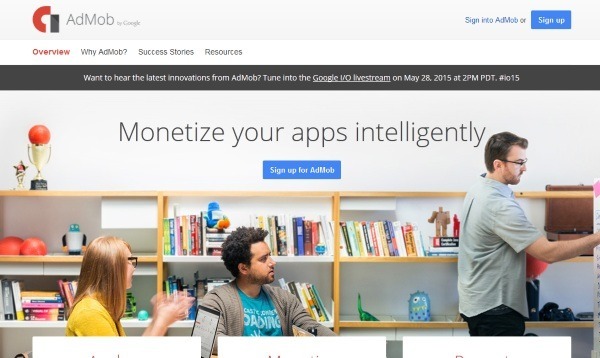 If you are a game developer then Chartboost offers a lot of potential for your ad ventures. They promote the ability of their partnering developers to make intelligent decisions regarding their ad campaigns based on their transparent and data driven platform. Chartboost offers both interstitial and video ads and the integration has been made extremely simple; a single SDK suits all channels of ads. This means that five minutes and ten lines of code into using Chartboost, and you could be making money from their ads. The revenue share is one of the cornerstones of Chartboost’s advertising efforts. The developer gets to keep between 90% and 100% of the revenue, which is an astonishingly high figure. The only cost of using Chartboost is the 10% cut they charge you per transaction they handle on your behalf. 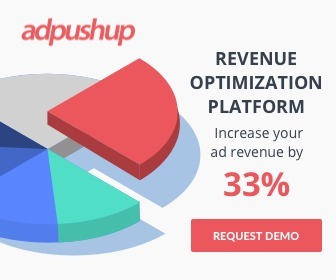 The amount of control they give you also deserves mention: Chartboost allows you to see who advertises in your app and gives you full control in deciding who is allowed to do so and who is not. Chartboost also publicizes a list of CPIs across the globe on their website, which supports their transparency policy. Ever since Apple penalized Tapjoy, Chartboost has been in the lead out of all the cross-platform promotion networks, and you can’t go wrong with it if you develop mobile games. Features such as analytics and control panels are standards for mobile ad networks today, but you should compare the differences between them, as all platforms do some things better than others. The eight networks listed here are reliable networks that handle billions of ad impressions every month. For those looking for the highest revenues, Millenial Media is the most widely cited network. Chartboost, however, will suit game developers better as their platform is optimized for mobile game developing companies and their targeting is geared towards players. Whichever network you choose to go with, just remember that you can always switch to a different network if you are not 100% satisfied with your initial choice. These networks are highly competitive, and thus changing from one network is made as easy as possible, with SDKs that are extremely easy to integrate. Testing between two or three networks is also a smart decision to make in a situation where you are uncertain of the best network to deploy for your app. Choosing the right network for your application is not an easy task, but hopefully, this list of eight best networks makes it a little easier for you.